Brandeis University Press, 9781584659679, 264pp. This innovative study examines the responses of early-twentieth-century pioneers to “the Land” of Palestine. Early Zionist historiography portrayed these young settlers as heroic; later, more critical studies by the “new” historians and sociologists focused on their failures and shortcomings. Neumann argues for something else that historians have yet to identify—desire. Desire for the Land and a visceral identification with it begin to explain the pioneer experience and its impact on Israeli history and collective memory, as well as on Israelis’ abiding connection to the Land of Israel. His close readings of archival documents, memoirs, diaries, poetry, and prose of the period develop new understandings—many of them utterly surprising—of the Zionist enterprise. For Neumann, the Zionist revolution was an existential revolution: for the pioneers, to be in the Land of Israel was to be! 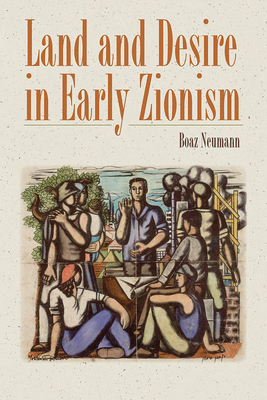 BOAZ NEUMANN is an assistant professor in the Department of History, Tel Aviv University.